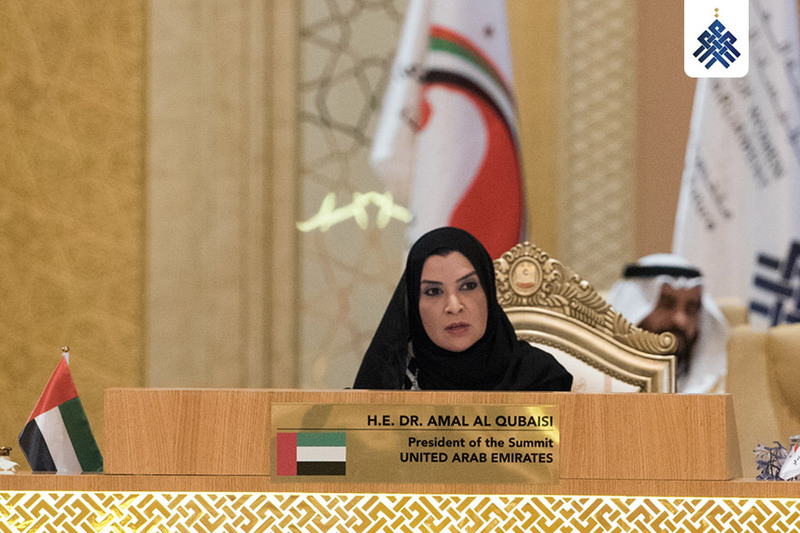 Her Excellency Dr. Amal Abdullah Al Qubaisi was elected Speaker of the Federal National Council (FNC) on November 2015, becoming the first woman to preside over a parliament in the Arab world. Earlier, she made history as the first female member of the FNC in 2006, the first woman to become its Deputy Speaker in 2011 and the first woman to chair an FNC meeting in 2013. 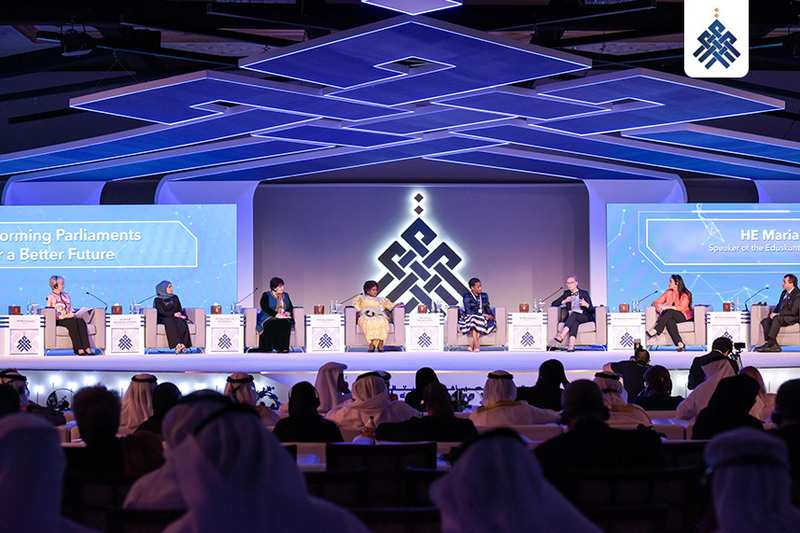 Prior to her election as Speaker of FNC, she held the position of Director General at the Abu Dhabi Education Council (ADEC). Under her leadership, ADEC won two awards from the government of Abu Dhabi for excellence in government performance – for Best Knowledge Management and for Best Improvement in Performance. 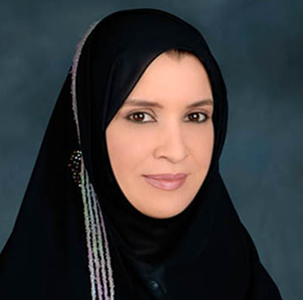 Throughout her distinguished career, Dr. Amal Al Qubaisi has overseen several institutions in various key capacities. 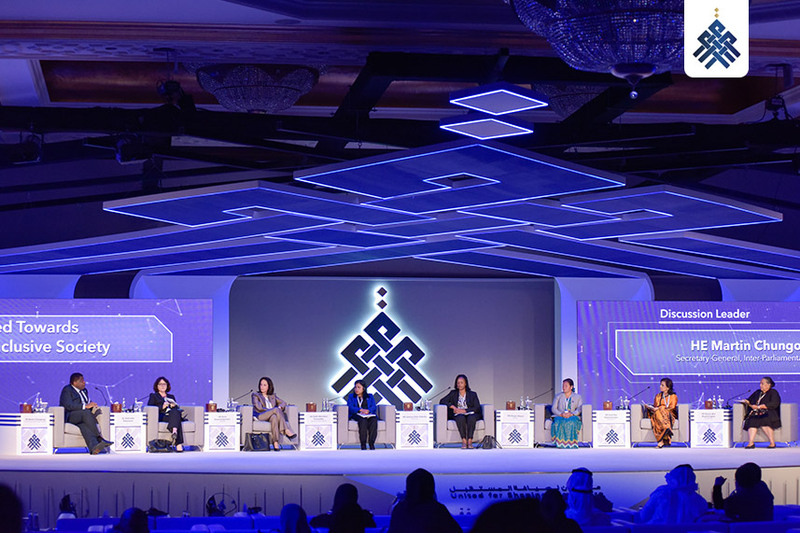 As an active member of the Abu Dhabi Executive Council, she was the first woman on the Council’s Executive Committee as well as Chair of its Social Development Committee. 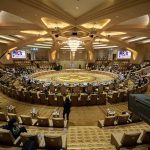 In addition, Dr. Al Qubaisi sits on the board of key institutions, such as the Family Development Foundation and the Environment Agency – Abu Dhabi. 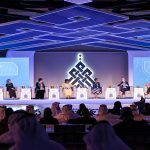 Her Excellency also is a board member of Zayed University and a jury panelist for the Zayed Future Energy Prize. 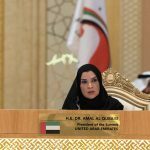 For several years, Dr. Amal Al Qubaisi has been representing the UAE at noted global forums and conferences, and has carried out official international assignments, mostly related to activities of the UNESCO World Heritage Center, United Nations and Inter-Parliamentary Union (IPU). 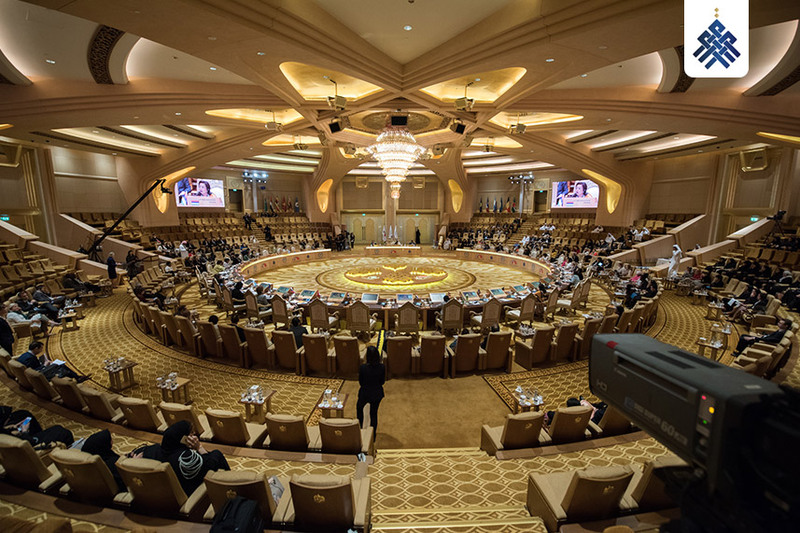 A passionate campaigner for social and humanitarian causes including women’s rights, Dr. Amal was the first UAE woman member of the IPU and representative of the Arab Group in the Coordinating Committee of Women Parliamentarians. She has also been active on IPU’s Governing Council and Third Standing Committee on Democracy and Human Rights. In 2000, Dr. Amal Abdullah Al Qubaisi earned her Ph.D. in Architectural Engineering with Honours from the UK and holds the world’s only doctoral degree on the conservation of the UAE’s architectural heritage. With 18 years of professional academic experience, she has served as faculty for six years at the Architectural Engineering Department at UAE’s College of Engineering. To her credit, she has received a number of honorary degrees from educational institutions worldwide, such as University of Sheffield, UK, and L.N. Gumilyov Eurasian National University in Astana, Kazakhstan. Dr. Amal has published and written a number of research papers and studies that have drawn international recognition. 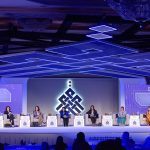 Her work covers subjects as wide-ranging as the conservation of the UAE’s cultural and historical heritage, national identity, women-related issues such as motherhood and childhood, demographics and political development, political participation and women empowerment. Among the many accolades Dr. Amal has received over the years is the UAE Pioneers Award 2014, presented to her by His Highness Sheikh Mohammed Bin Rashid Al Maktoum, Vice President and Prime Minister of the UAE and Ruler of Dubai, for being the first Emirati woman elected to the Federal National Council.